2016 is going to be the year of high-speed internet in India. This year we will not only see the launch of much awaited Reliance Jio’s high-speed 4G and broadband services to the masses, but we are also hoping other leading telcos to follow suit. We are also expecting our favourite state-run telecom operator BSNL to launch some affordable high-speed broadband plans (pun intended). While looking for 4G data plans on Vodafone.in we found that Vodafone offers the maximum number of telecom circle of Karnataka. No other telecom circles has as many plans as Karnataka. So for the sake of comparison we will consider Vodafone 4G data plans in Karnataka only. Vodafone is offering 4G data plans close to 3G tariff. The trial 4G pack is valid for 3 days and comes bundled with 120 MB data carrying a price tag of Rs. 29. The 1 GB 4G data pack costs Rs. 265 while the 2 GB plan costs Rs. 465. Other unlimited (2G speed post FUP) 4G data plans are, 5 GB @ Rs. 855, 8 GB @ Rs. 1,145, 10 GB @ Rs. 1,345, and 20 GB @ Rs. 2,499. All plans come with a validity of 28 days. Vodafone is also offering long-term plans for iPhone users which carry a validity of 24 months. These plans offer a good mix of 4G data, Local-National minutes and SMS. Its 1 GB 4G data plan costs Rs. 249 and comes with a validity of 28 days. On including the extra data it comes out to be 2 GB 4G data for Rs. 249 with a validity of 28 days. Idea’s 10 GB 4G data plan (20 GB including extra data) is valid for 30 days and will cost you Rs. 1,346. Reliance Communications has recently launched its 4G services in collaboration with Jio 4G aka Reliance Jio. RCom signed a spectrum sharing agreement with Jio wherein both the companies would use each other’s spectrum for offering 4G services to their subscribers. So effectively both the telcos have access to 850 MHz (LTE Band #3), 1800 MHz (LTE Band #5), and 2300 MHz (LTE Band #40) spectrum for offering the next-generation 4G services. RCom has announced its 4G data plans starting from Rs. 252 for 1 GB valid for 28 days. Other 4G data plans with higher volume are 2 GB @ Rs. 449, 3 GB @ Rs. 655, 5 GB @ Rs. 851, 7 GB @ Rs. 1,049, and 10 GB @ Rs. 1,349. We performed a Speedtest of RCom 4G and found that it offers speeds similar to Jio 4G. Cities in Southern India have Airtel 4G data packs starting from 500 MB to 10 GB. Please check the screenshots for more info. Telenor India has recently launched its 4G network in Varanasi, UP East. 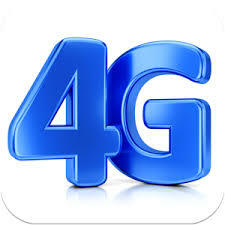 It is offering very attractive 4G data plans with the trial packs starting from Rs. 11 (100 MB, 4p/20 KB post FUP). Telenor’s 1 GB 4G data packs costs Rs. 149 and comes with additional benefits like 25p/min for local calls, and 30p/min for STD calls. The 2 GB data packs is available for Rs. 219. All plans above 1 GB come with additional benefits like free bundled minutes or reduced call rates. Check the screenshot for more information. As of now, Idea Cellular is the most affordable 4G data provider, thanks to its double data plans. It works out to about Rs. 125 for 1GB. But it remains to be seen what these incumbent players would do, when Reliance Jio launches its 4G services.